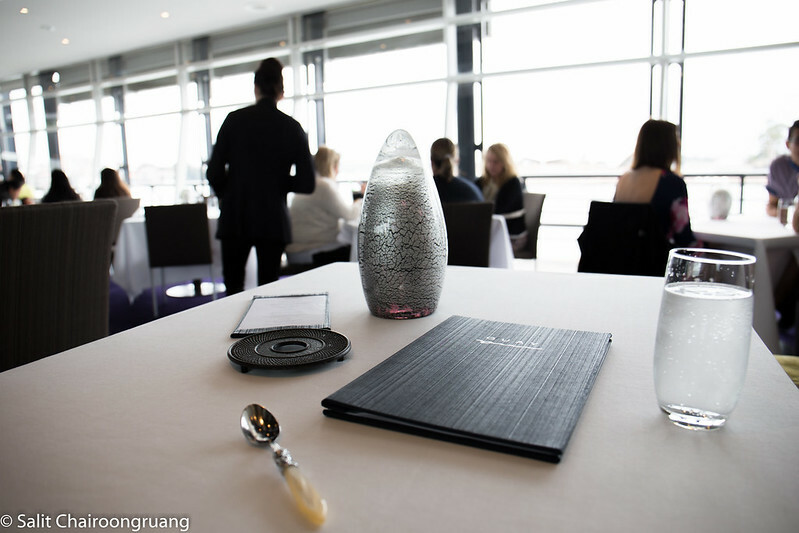 This is my first review on an overseas restaurant, so it should be something remarkable. 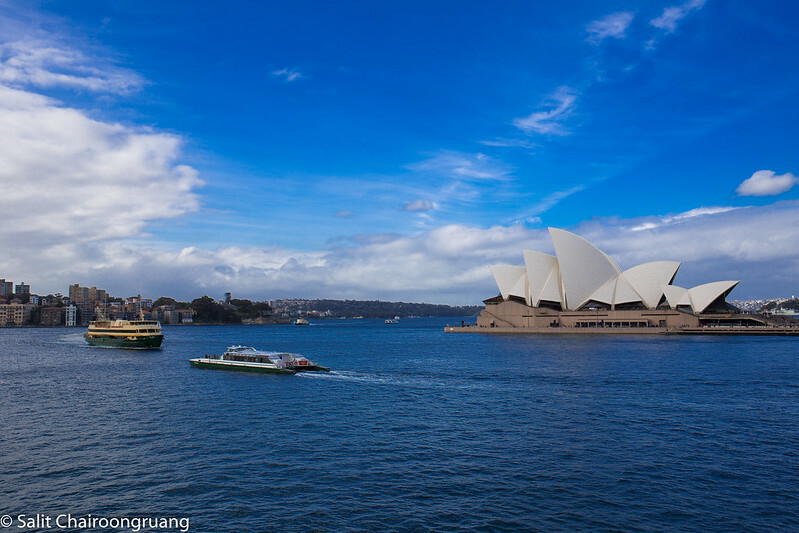 Since I have to study here in Sydney, Australia, I didn’t hesistate to do the research on restaurants in Sydney. 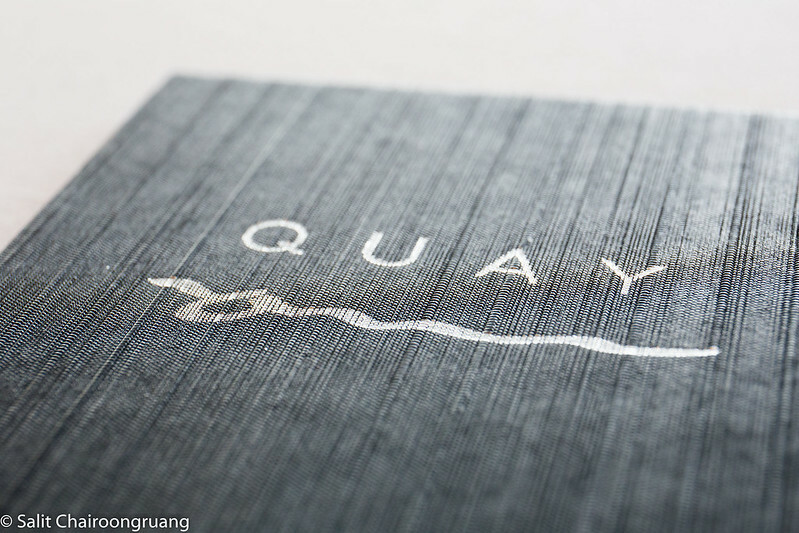 According to my research, Quay restaurant is the flagship restaurant in Sydney such that the first fine dining restaurant I’m going to visit is Quay, which recieved many awards including the ‘World’s Best 50 Restaurants,’ by S. Pellgrino. 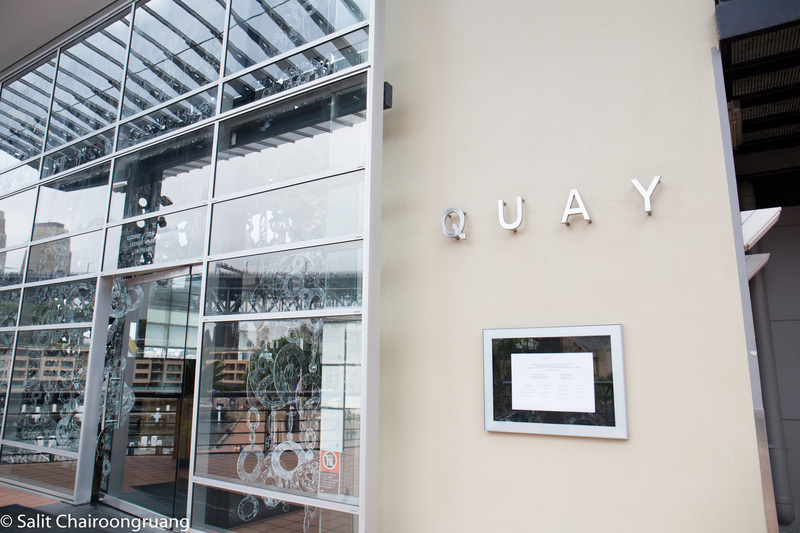 Quay is located at an overseas passenger terminal, The Rocks. The decor is cozy and comfortable, and yet elegant. All staffs are very friendly, knowledgable, polite and helpful. 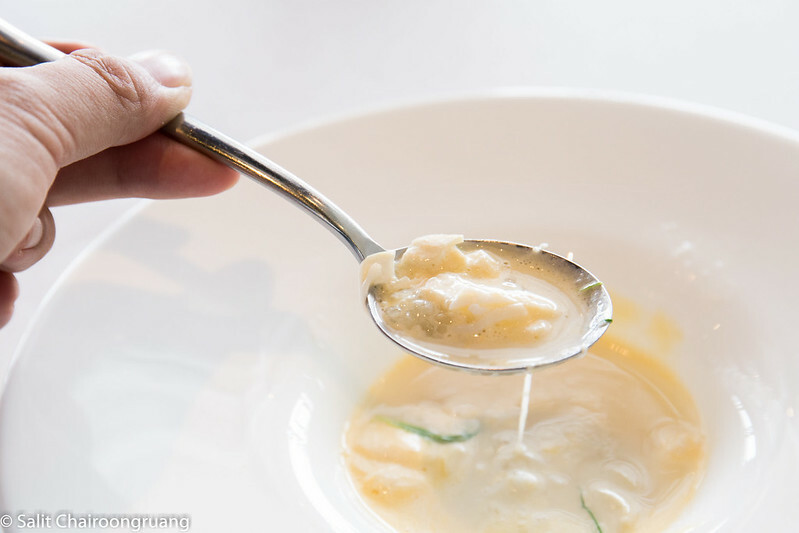 They did not burden me with any heavy feelings as top-class restaurants in Thailand did. 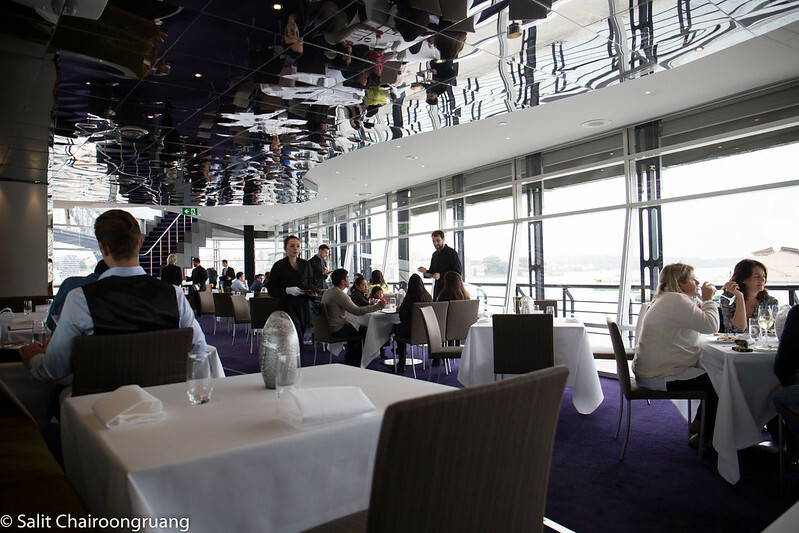 The head chef of Quay is Peter Gilmore. Unfortunately, I did not have a chance to meet him in person since the restaurant was filled with clients. 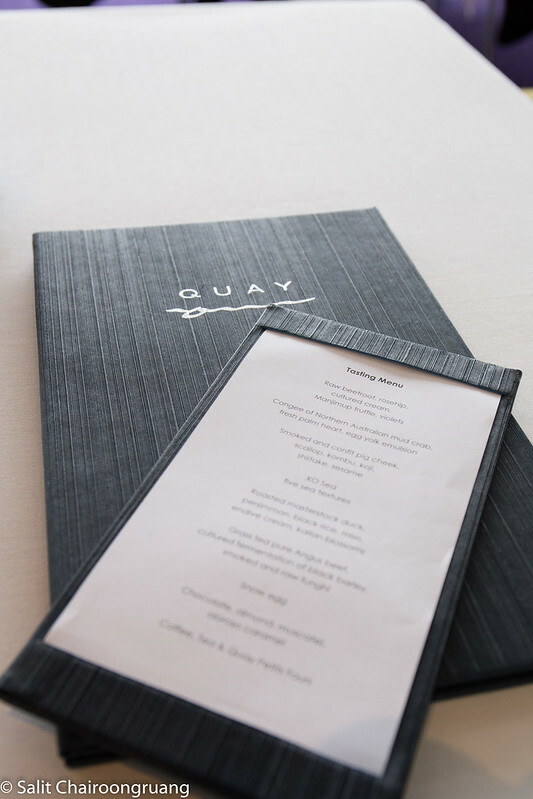 Because this is my first time at Quay, I went straight for the testing menu. 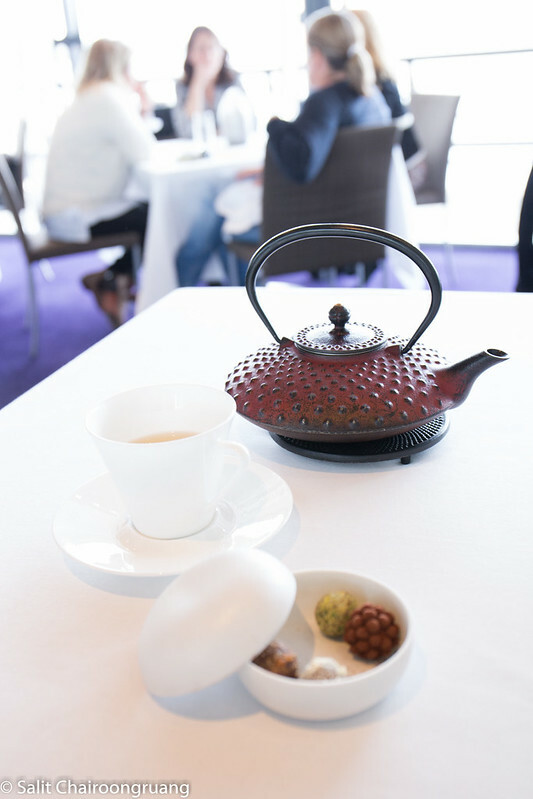 The testing menu, which costs $225 per person, consists of amuse-bouche, eight dishes and coffee or tea with petit fours. 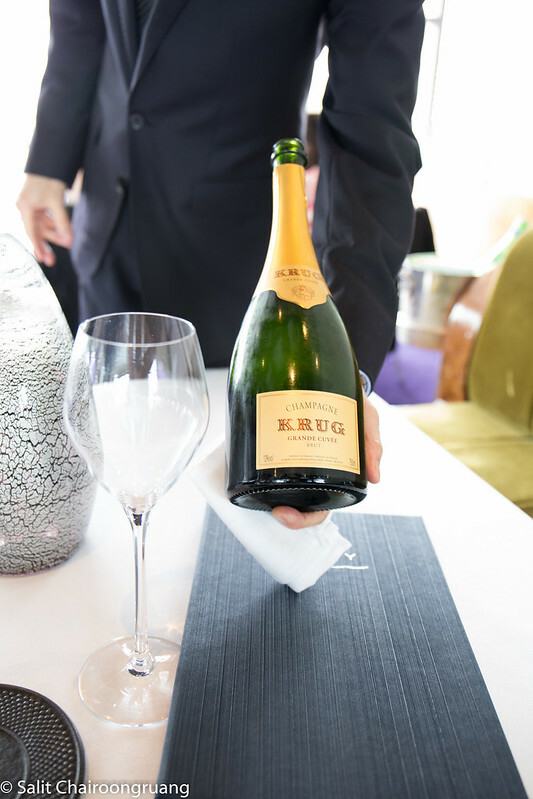 Before starting the lunch, I ordered a glass of Krug, Grande Cuvée Champagne. 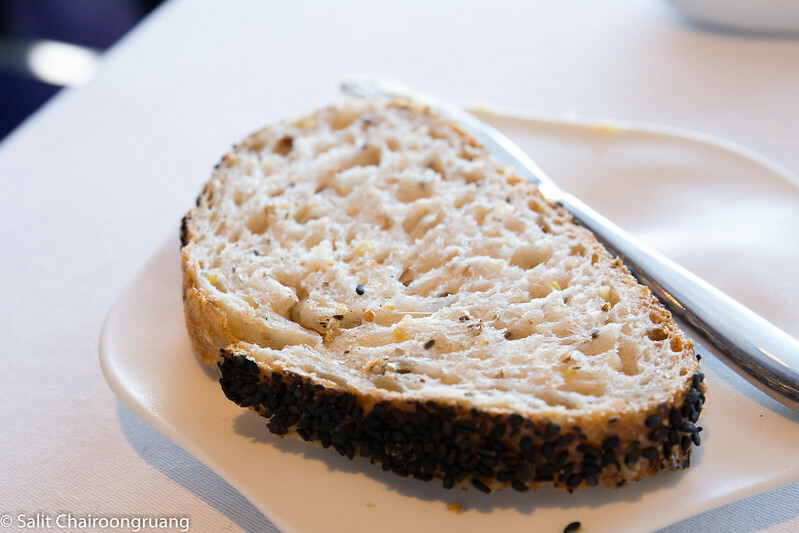 it was very silky smooth, mature, toasty and complex. The bubbles were tiny, crisp and clean. Such a mavellous Champagne it was. 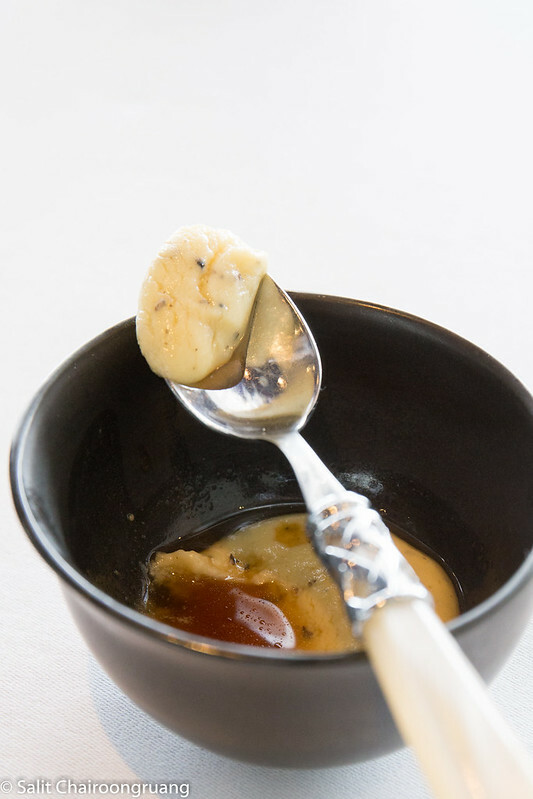 After the Champange was served, the waiter placed the amuse-bouche of mash potato with truffle consumme. The consumme was so pleasant and flavourful. Mash potato was supremely smooth and savoury. It matched nicely with a glass of Krug. 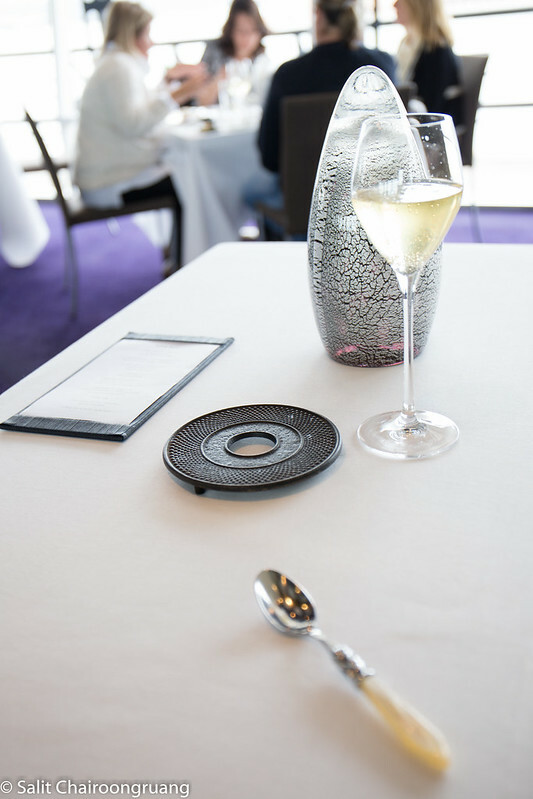 To start the meal, the first appitizer was placed on the table. 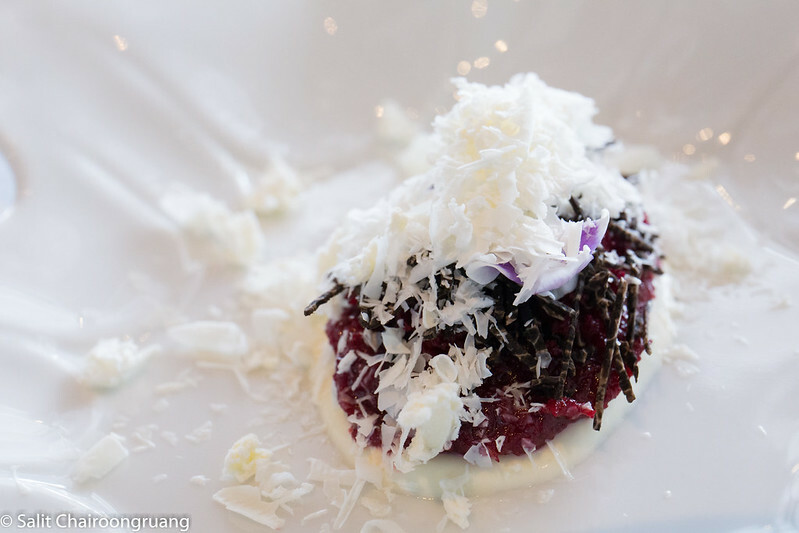 It was raw beetroot, rosehip, cultured cream, Manjimup truffle and violets. 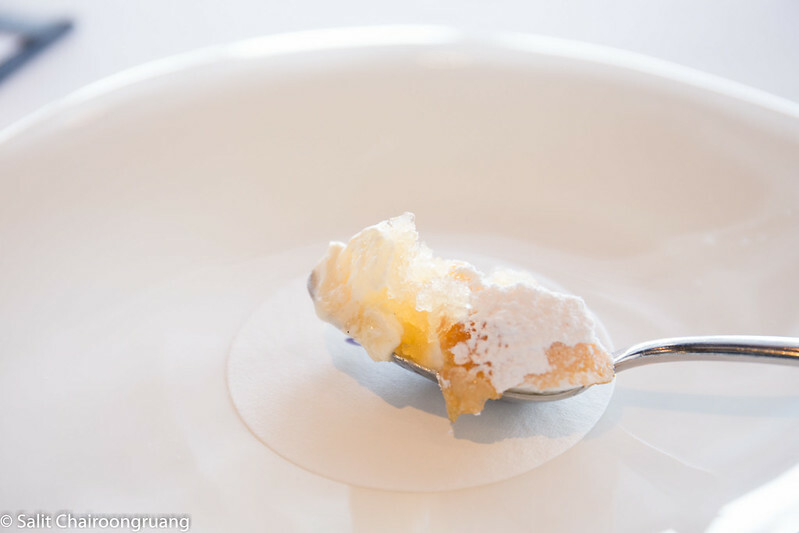 This dish was refreshing and creamy yet light. 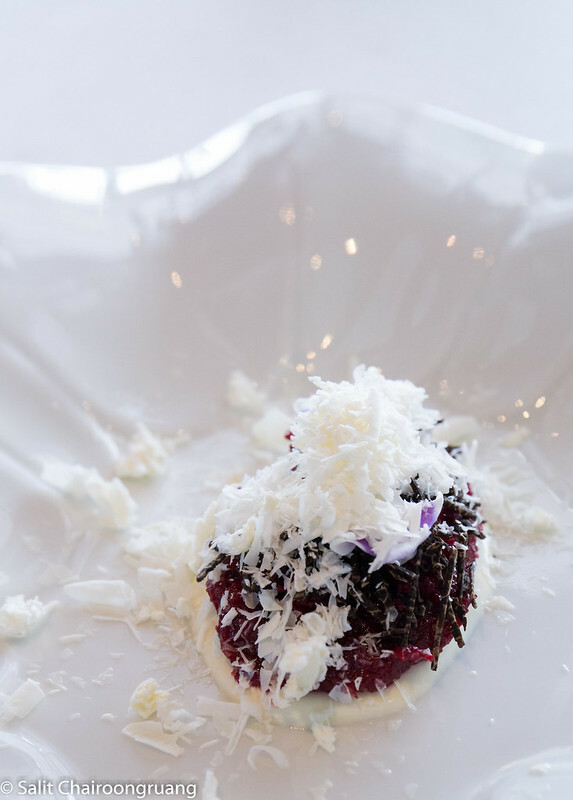 The texture of raw beetroot was enjoyable. What a marvellous starting it was. 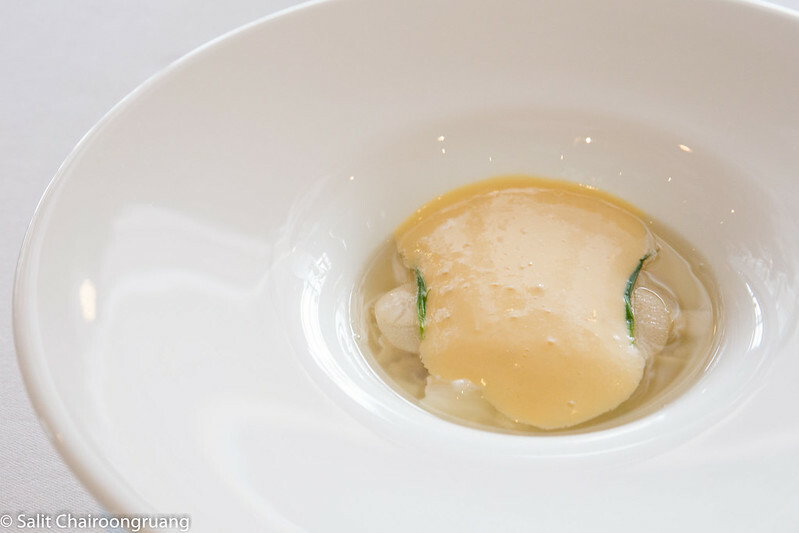 Next dish was congee of Northern mub cab, fresh palm heart and egg yolk emulsion. I swear this is one of the best congee I’ve ever had. The texture was right. The palm heart gave this dish an enjoyable bit. 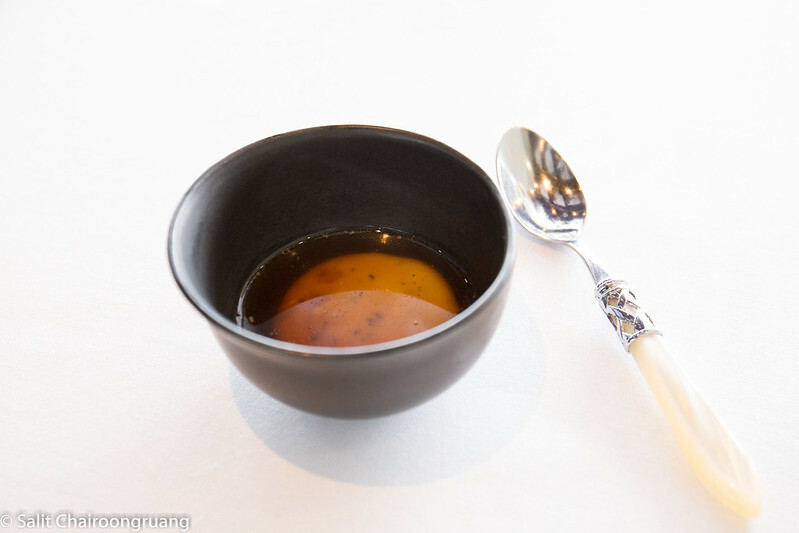 The creaminess of the egg yolk merged fabulously with congee. The only downside of this dish is that the portion was way too small. 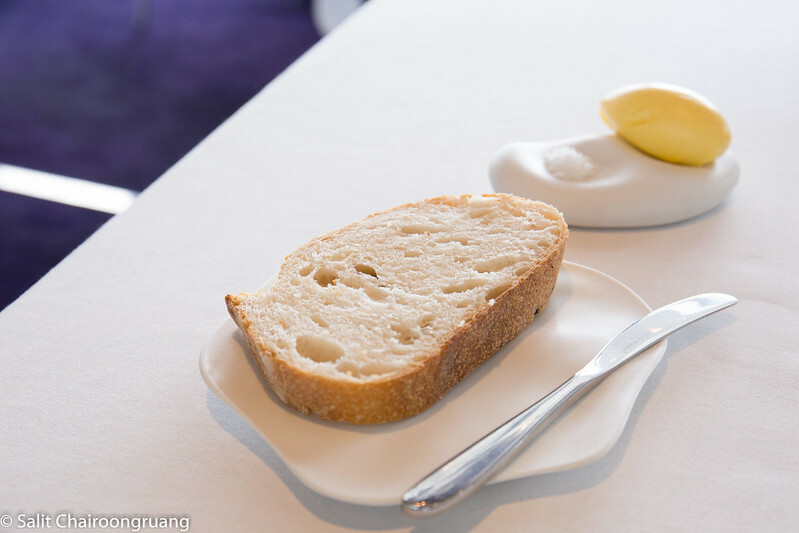 After collecting plates, the waiter brought me two slices of bread. Both of them were nice but not great because it wasn’t warm though. 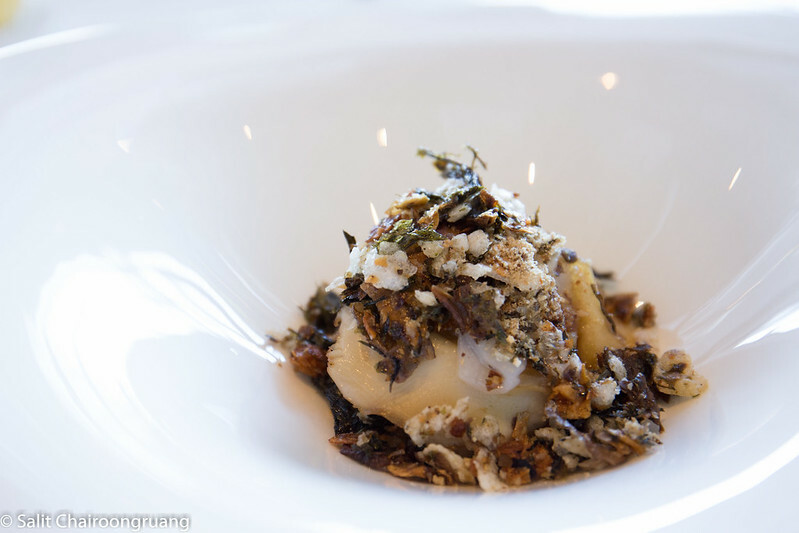 Smoked and confit pig cheek, scallop, kombu, koji, shiitake and sesame was served accordingly. It looked rather ordinary at first sight, but turned out extraordinary at its touch. Pork cheek was melt-in-mouth and juicy. 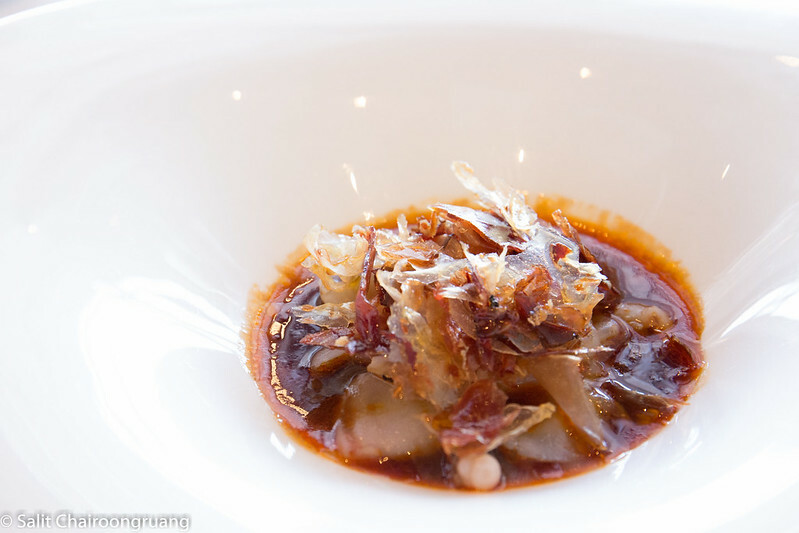 The crunchy stuff on top of the pork cheek was very enjoyable. It was slightly salty which matched perfectly with super tender cheek. I loved this dish so much. This is XO sea and five sea texture. 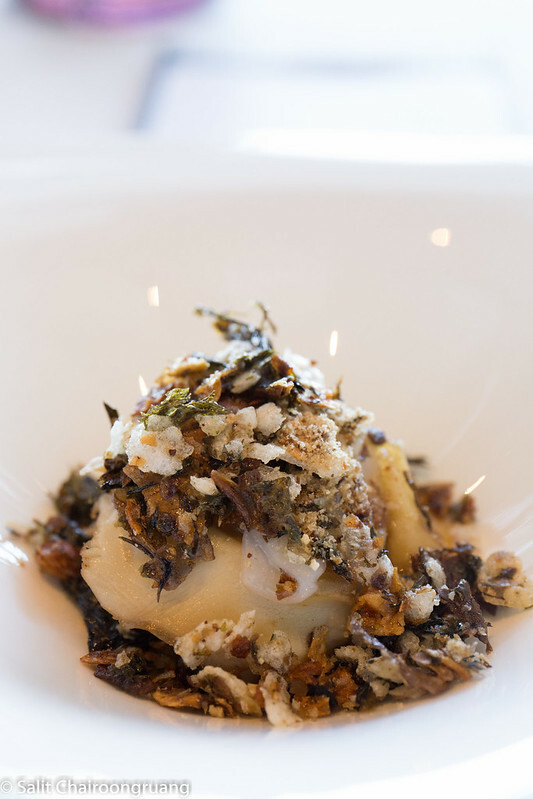 The texture of this dish was surprisingly amazing. Its chewiness, tenderness and sponginess combined well together. The only negative point of this dish was the XO sea. It was slightly too salty which ruined the whole picture of the plate. 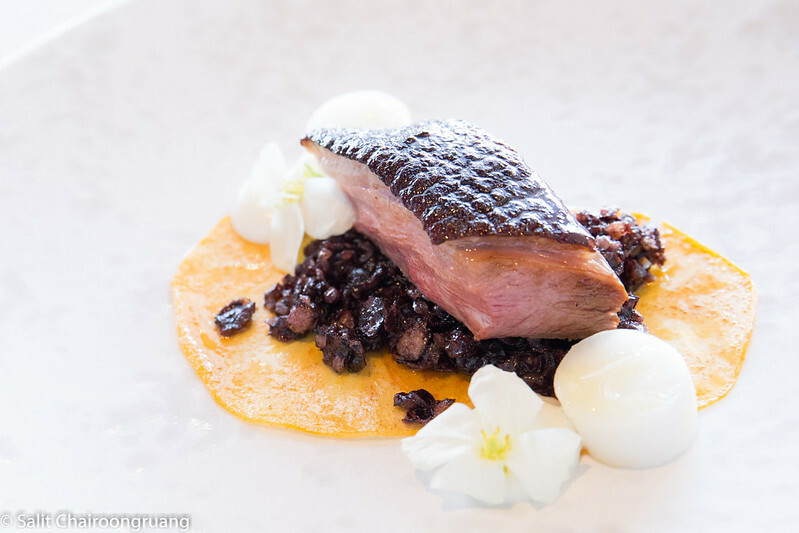 The following dish was roasted ,asterstock duck, persimmon, black rice, miso, endive cream and kailan blossoms. 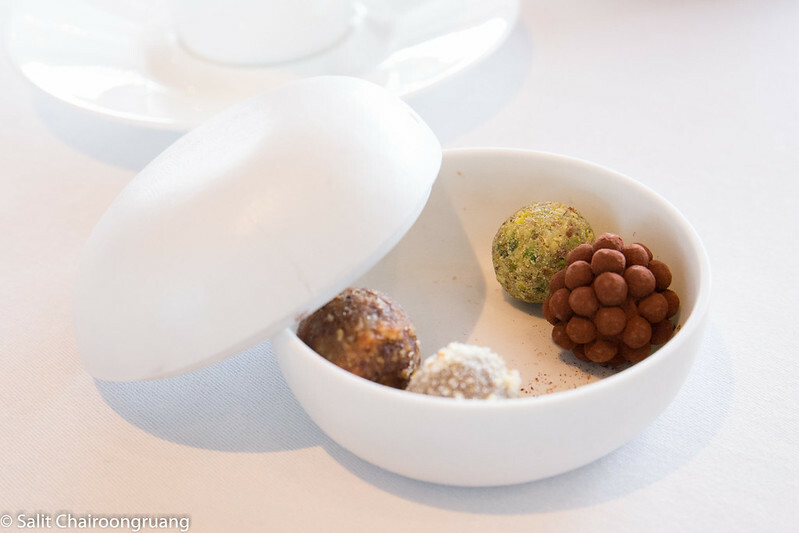 I was stunned by the plating of this dish. It was so gorgeous. The duck was not tender nor melt-in-mouth, but it was smooth and firm. 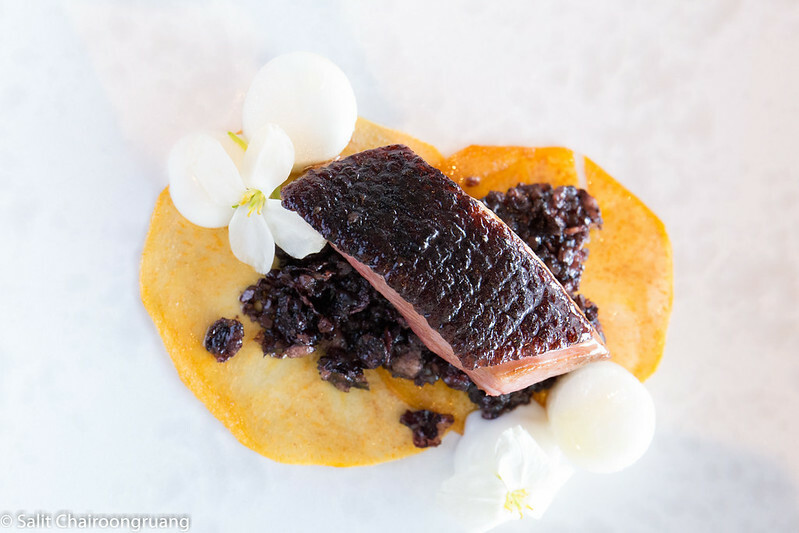 The black rice and miso gave sweetness to this dish. it is like a painting more than food. So gorgeous!! 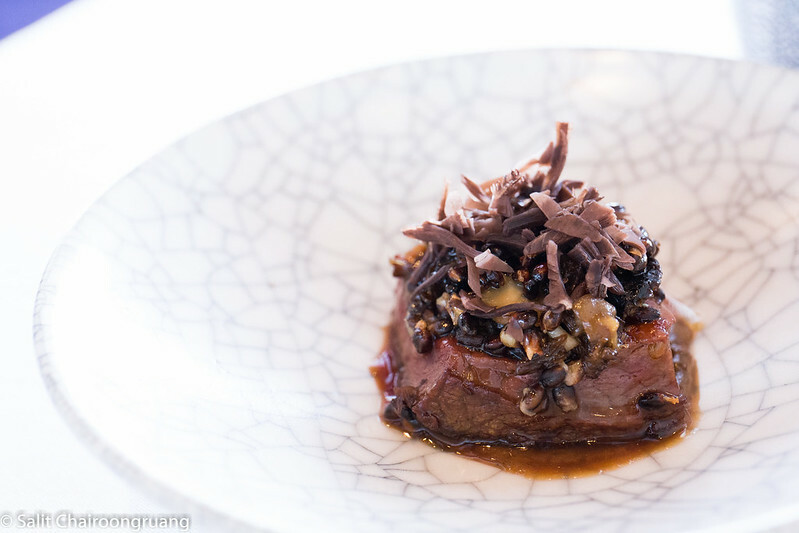 Here comes my most favourite dish among the course; it was grass fed pure Angus beef, cultured fermentation of black barley and smoked and raw funghi. 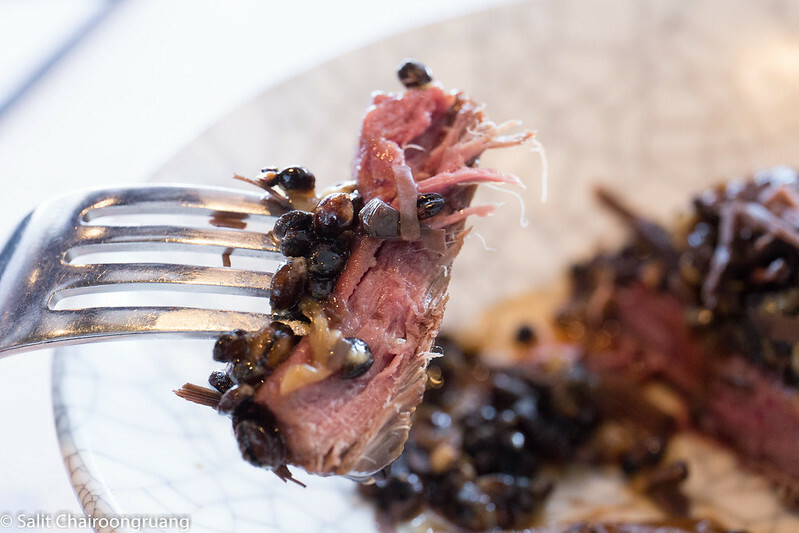 Angus beef was cooked to delicious tenderness. Black barley and funghi brought this dish its crunchiness, which was very enjoyable. Everything reached perfection. What a remarkable dish it was. Once I cracked it down. 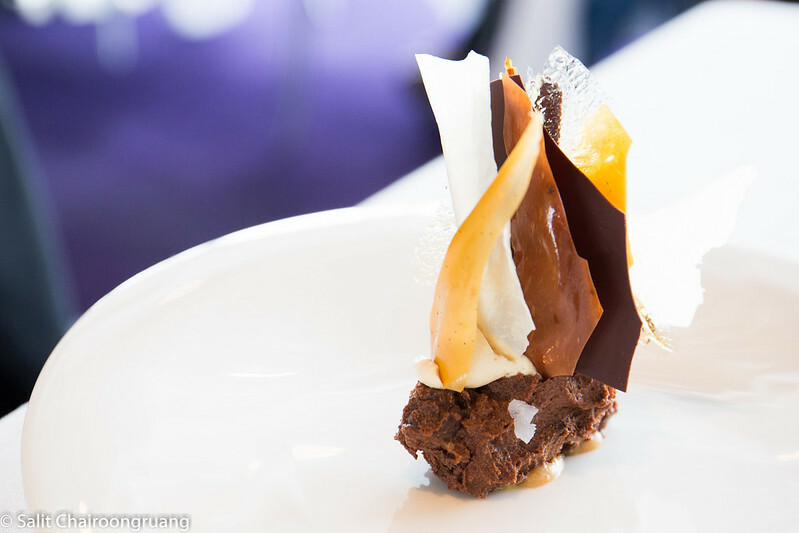 Lastly, chocolate, almond, muscatel, oloroso and caramel was served to end the course. This one did not surprise me at all. 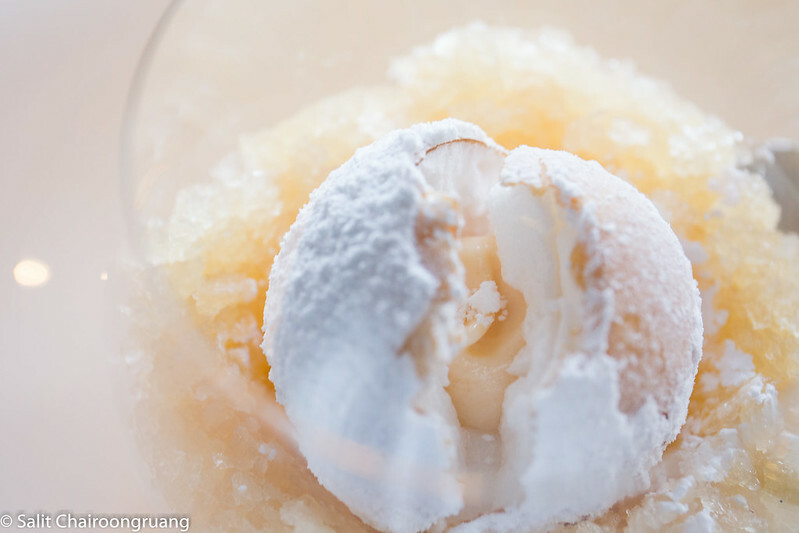 Ok, it was beautiful, creamy, nutty and super delicious but it was not as amazing as the snow egg. 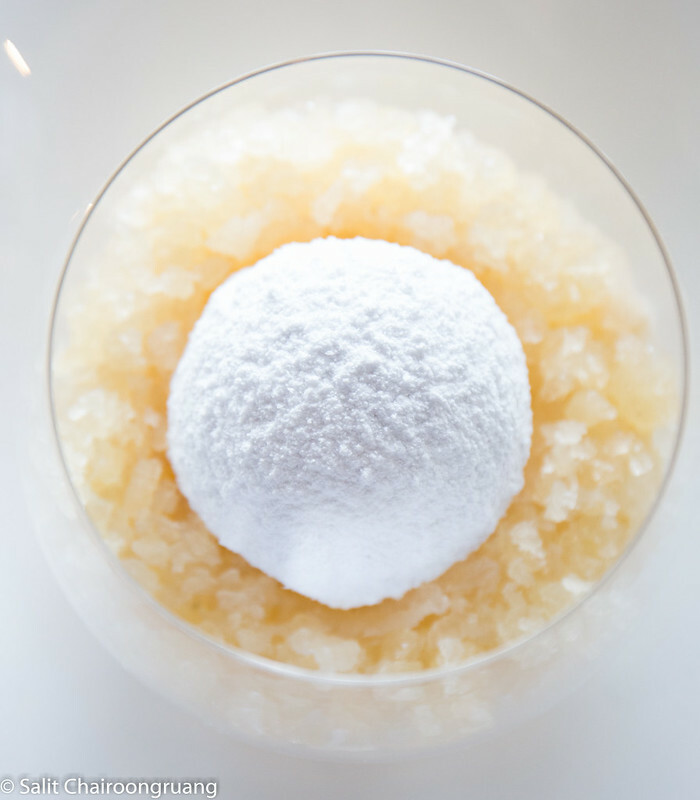 It was rather ordinary for me, especially when it was served after the marvellous snow egg.